GoPro vs Garmin: Which Is Better? The development and refinement of personal computers have paralleled a profound shift in how we take pictures. From the early days, getting a good photo has been a multi-step process, and we celebrate each innovation. Technicolor Kodachrome, instant development, and the variations in lenses including macro, panoramic, and polarized have all changed the way we shoot - and the results. GoPro cameras are named to represent their primary function: for use on the go. GoPro devotees are outdoorsy and like a compact, easy-to-use camera with simple menu options but multiple features. GoPro is a relatively new company, founded in 2002 and focuses on action cameras and video editing technology. An American company, they manufacture weatherproof action camera equipment with plenty of high-end technology at an affordable cost. GoPro got into the business when 35mm cameras were still the standard, but quickly shifted to digital technology. 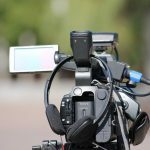 In recent years, GoPro has gained other companies and expanded into digital video editing technology. In 2014 it became a publically traded company. When comparing GoPro vs Garmin, the main difference is that GoPro is camera focused and Garmin is GPS focused. GoPro has had a mission from day one to offer the best technology at the most affordable, accessible price. The company wanted to bring great camera technology and photo options to amateurs, especially those who specialize in outdoor photography. 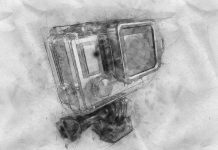 As a result, GoPro has focused on improving the technology for waterproofing, camera sturdiness, ease of use in simplified menus, optimizing digital options, and reliability under extreme conditions. In 2004, GoPro developed its first HERO camera, a popular all-around model, and developed the HERO digital just two years later. By 2007, GoPro sales mushroomed to 3.4 million. 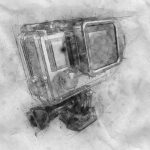 While GoPro has ridden a wave of improved digital photography technology, they have also led in the development of innovative solutions to common photography problems. The HERO line evolved by 2014 into a camera capable of 16:9 aspect ratio with 4K UHD video and 12 MP still photographs. The HERO is the camera that took GoPro from a start-up to an internationally successful company. 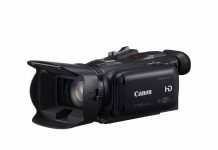 Later iterations of the HERO included the improved stabilizing ability and improved video capability, able to capture 4K video in 60 frames per second (FPS). For action shots, FPS capability is crucial as it captures movement in low light. The 2018 HERO comes in multiple colors, including white, shoots full HD 1080fp60 video, has 10 MP photos at up to 15 FPS, sports built-in video stabilization, and comes with a removable memory card and adapter. The 32-gigabyte memory card and SD adapter mean shooting hundreds of pictures per card and for most uses one card is sufficient. The GoPro comes with a phone adapter for easy transfer of photos. GoPro has some data capabilities as well, so sharing photos with others can include information. The voice control is always on and is a great feature. GoPro cameras pride themselves on their easy-to-use menu and display features. Complex cameras with high-tech features often come with a price beyond just the purchase price, and that is the time spent figuring out how to use the camera. GoPro cameras are intuitive and although multiple features are available, using GoPro to point and click is an option from minute one. The GoPro is easy to learn with its touch digital screen although the screen can be finicky and doesn't respond well to wet hands. Scrolling through the menu options is very accessible but like all digital cameras, reading the guidebook is advisable. The GoPro menu is an on-screen display. By touching the screen, you can use one finger to swipe through to the options and see them displayed. If your hands are wet, some buttons perform the same task. The screen is highly reactive to touch, and care needs to be taken when using on-screen scrolling but fortunately, the buttons work fine is in moist conditions. The menu display is designed to allow touch even in water, but it doesn't always perform. The menu display and image display are crisp and clear, easy to use in all lighting conditions. Camera users can look through a viewfinder or use the screen display to set up their shots. The display screen is large and offers a linear mode that squares up the shot so it minimizes any fisheye effect and helps the photographer see the shot closer to how it will finally appear. Menu information appears on the bottom of the display so you can monitor what parameters you've chosen for the lighting, shutter speed, FPS and so forth. The GoPro HERO5 runs at about $350, excellent value for a camera of this quality and range of features. Extras you'll want to consider are the phone adapter ($19) that makes transferring from camera to smartphone a snap, and one of the lines of GoPro cases. Even a waterproof camera needs the right case. Comparing GoPro vs Garmin means also considering the problems (which are few) with the GoPro HERO. The main issue is that scrolling through photos is very slow, and not worth it because everything else on this camera works quickly. Users will probably not scroll because it takes so long. For someone who likes to look through that last ten shots, this camera could be aggravating. The other issue with GoPro, which we noted above, is that the touch-screen can be highly reactive to moisture. Last, GoPro isn't great with data, especially compared to Garmin, but that's an advanced feature so few users will care. Customers are loyal to the HERO because of great experiences over the years. Each generation of HERO adds features, but this doesn't skimp on usability. The HERO models have never gotten worse from one iteration to the next because GoPro sticks with what works and what customers like. The camera is reliable, does what it says, is waterproof even in extreme conditions, and is easy to learn to use. 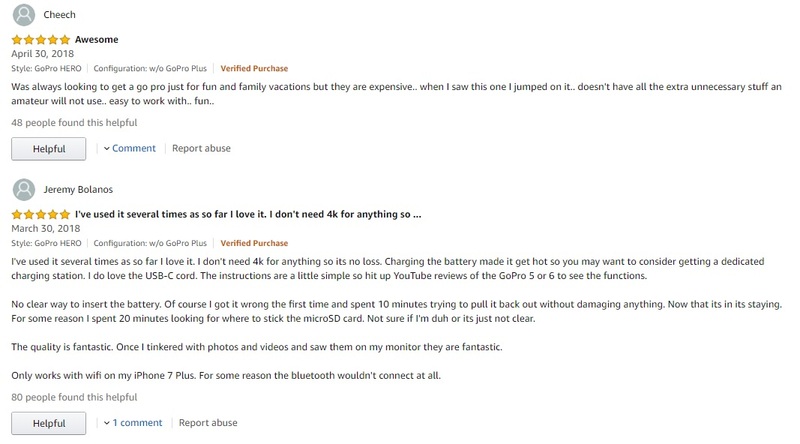 Customers usually rate GoPro at four to five stars. When thinking about GoPro vs. Garmin, it's important to remember they approach cameras a little differently. Garmin has been at the forefront of GPS (global positions system) technology for decades, and their cameras have built-in GPS features that allow for data downloads and integration with other digital technologies. Garmin cameras are built with a larger technological universe available to the user. Customers can sync camera functions with their personalized fitness devices, for example, and the amount of data and data transfer options with GoPro vs Garmin are no contest: Garmin wins this one. Garmin is an American company found in Kansas in the early 90s, but they now make their corporate home in Switzerland. Although Garmin's expertise is in GPS for every vehicle imaginable, from boats to planes to joggers, they compete with the major fitness tracker manufacturers Apple and Fitbit. Their Garmin wearable fitness tracker is a workhorse and pioneered waterproof technology. By the mid-90s, Garmin had reached over $100 million in sales, and by 1999, the total sales were $233 million. By 2000 Garmin sold 50 different GPS devices, and in 2005 their sales topped one billion. They've branched into medical devices. Garmin is a larger company than GoPro, with a different mission. But GoPro vs Garmin cameras is a close race. Garmin got into the camera business only in the last decade but has put their technological experience to great use by marrying their GPS and data capabilities in a digital camera for consumer use. The VIRB 30 Ultra is an affordable camera and the best GoPro vs. Garmin comparison model. Because Garmin is masterful at using digital data, including storage and transfer to personal fitness devices, it has created a camera that includes GPS features like accelerometer, bike mount and altimeter. Garmin innovations are similar to GoPro, but when evaluating GoPro vs Garmin, the buyer should consider that Garmin hasn't made the innovations, necessarily, but rather co-opted them from camera manufacturers. The primary innovations on the VIRB 30 Ultra are in the areas of design and compatibility with other digital devices, such as Windows-based products. Garmin knows how to use GPS and transfer data, and for cameras, this is a useful feature, although arguably a specialized one that not all camera owners will fully explore. Garmin is dustproof, water-resistant but not weather sealed. The camera will go to 40M underwater (and some Garmin cameras go to 50M), unsurprising since Garmin pioneered technology that could withstand depths with its marine GPS systems. Garmin includes a microphone, touch screen, and three subpixels for every pixel. There is a built-in HDR mode and a brand lens. The screen is 1.75" with video recording at 30FPS and continuous shooting at high resolution at 60FPS. 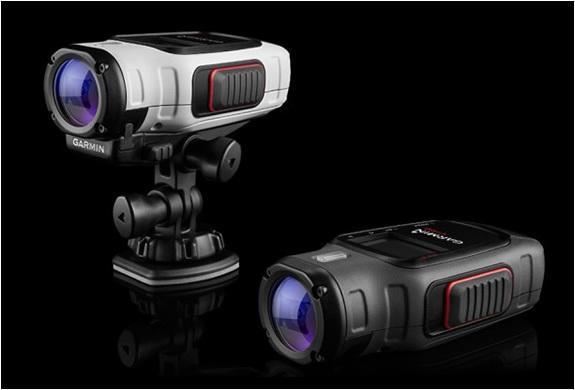 This model does not have slow motion video recording or a BSI (backside illuminated) sensor. The Garmin camera is easy to learn and master. The camera is consumer-friendly, and Garmin gets high marks generally for producing gadgetry that puts design simplicity over feature complexity. The screen, at nearly two inches, is easy to use for menu navigation. All the optics features are good (except lack of BSI, which some people do appreciate) and the brand lens is a nice extra. Manual options are good if the photographer wants to use manual mode. For sports features, Garmin hits all its marks with capacity for ANT+ sensors and altimeter. These features help stabilize and orient the camera to flying, jumping and swimming. The display isn't quite as large in the GoPro vs Garmin duel, but it does the job as well as GoPro for most uses. Editing on screen is easy to do, and the camera practically puts together edits and data on its own. The menu options are intuitive, including the extensive data editing and data transfer capability. 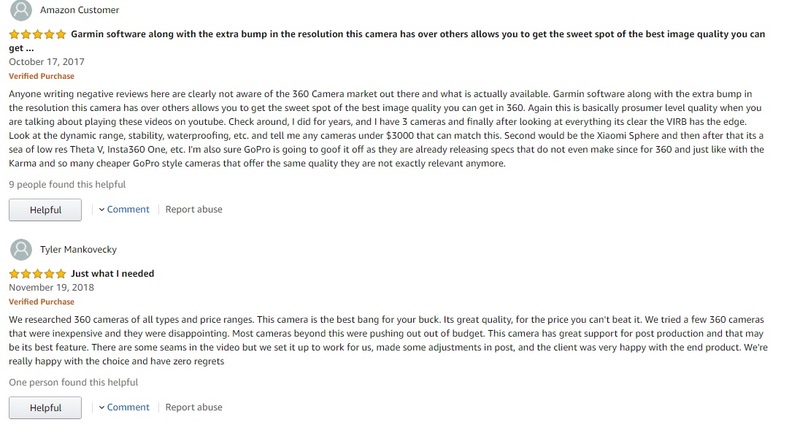 If you are reading this review, you will also want to compare GoPro vs. Garmin on price, because in terms of quality and features the two cameras are very close competitors. The Garmin VIRB 30 Ultra action camera runs around $400 and is a bit more of an investment than the GoPro. In this area, the GoPro vs. Garmin battle has a clear if a not dominant winner. The primary downside with Garmin, and what could keep some people cheering for GoPro in the GoPro vs. Garmin comparison is the weatherproofing. Garmin is a fully waterproof camera, to 40M but it doesn't have the extra seal of protection that GoPro does to prevent failure in extreme weather conditions. For many users, this is an issue because watersports require a waterproof camera that won't fail. But for those who don't surf, swim, dive or scale Mt. Everest, this downside is not a big deal; after all, the Garmin is waterproof. The Garmin is also a little pricey, and that is a limitation for some consumers. Customers who've bought Garmin love them and they report no major issues in operation or reliability of the product. GoPro vs. Garmin may not be on their minds, but most purchases of this level of technology will have done their homework. Garmin continues to sell cameras at a good clip and have a customer-friendly product in the VIRB 30 Ultra action camera. This is a tough battle, as these competitors bring tons of features to the competition and high quality. It's the little things that make a difference, and in some cases, simply customer preference for a single feature that Garmin may lack or GoPro may have perfected. GoPro wins this one. 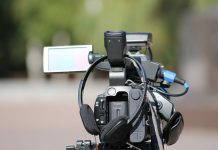 With three microphones and a stereo microphone, voice is going to be superior when using videography. However, Garmin does have a built-in microphone port which allows users to connect a specialized microphone and GoPro does not. Again, in the GoPro vs Garmin wars, GoPro wins this one. The BSI sensor allows for backlighting and improves photographs in low lighting conditions. Garmin lacks this feature. GoPro includes a time-lapse function and Garmin does not. So far GoPro vs. Garmin is looking like a route. Will Garmin come back? The time-lapse is a fairly sophisticated function, but a cool one, allowing a series of images to speed up over a long period and great for starry skies and sunsets. In this arena, the GoPro vs. Garmin contest comes out about even. Both cameras have a battery indicator which shows how much battery life remains. Both have rechargeable batters with easy access. Garmin does slightly edge out GoPro in battery power with 1250mAh. In this area, it's a close race. We feel that GoPro has the upper hand here as they have developed the HERO over the decades to perfect image stabilization as a core feature in their action cameras. When taking shots on the move, stabilization matters. Garmin is no amateur here, however, with excellent image stabilization that will satisfy most customers. GoPro has a better white balance, but again it's a squeaker as both cameras offer excellent images and most users will not be able to tell the difference in image quality. But in videography in certain lighting conditions, GoPro has a slight advantage here. Both cameras have excellent manual exposure options that are easy to use and manual ISO ability. This is a draw with no winner, and manual control of the camera is a feature that every camera should offer. The other features aren't critical to camera use. For example, GoPro allows for remote pictures which is great for group shots or tough terrain. The GoPro can also shoot raw, which for some photographers is a must. Garmin's touchscreen and pixel display are both superior, however. Features like this are for more research after concluding what the "deal breakers" are in these action cameras. These cameras are both excellent and fine examples of the pinnacle of digital photography perfection. We feel that a few features put GoPro ahead overall when they are compared side by side in a GoPro vs. Garmin contest. The weatherproofing, superior voice technology, ease of use and overall videography superiority puts GoPro in the lead. Price is also a factor, as the GoPro is much less expensive. We do like the data options on the Garmin, but usability wins out. 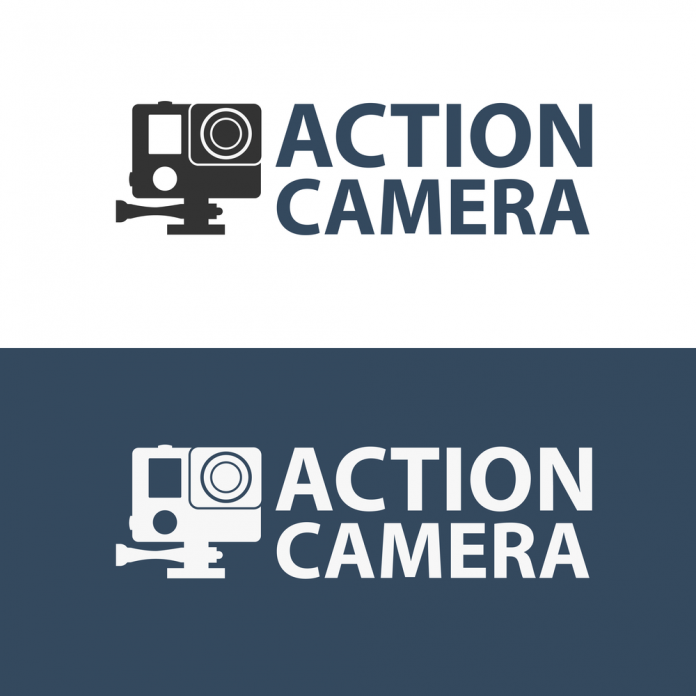 Digital cameras have come down in price, and action cameras are now accessible to most consumers. For between $200 and $400, photographers can have sturdy cameras with myriad features, clear displays, intuitive menus and data capability. In the GoPro vs. Garmin showdown, we've chosen GoPro with its still ruling HERO model and its proven track record of action camera magic.